Results for the invitation round of 9 March 2016 are now available. The overall number of invitations increased significantly in January and February 2016. 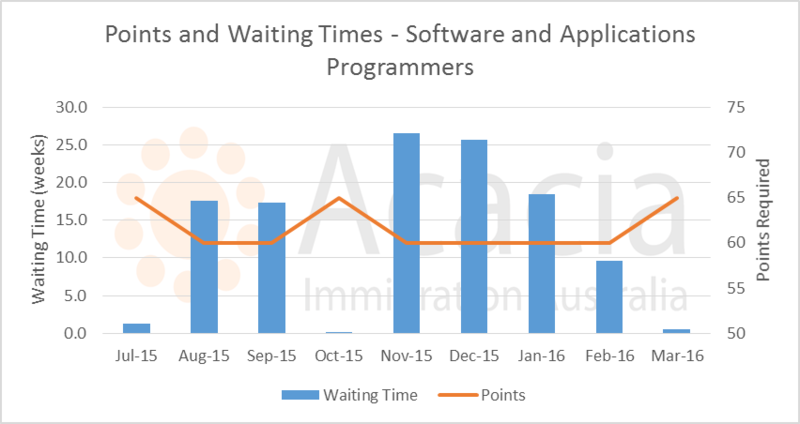 This significantly reduced waiting times for SkillSelect invitations, and resulted in lower minimum points scores for invitations for pro rata occupations such as accountants, ICT business analysts and software and applications programmers. However, invitation numbers are now down to 1,300 per invitation round, and the minimum points scores for pro-rata occupations have increased again. 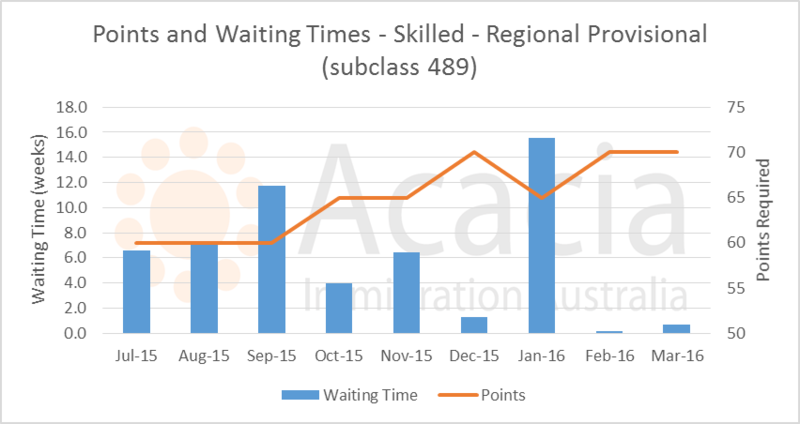 This article summarises the waiting times, number of invitations issued and minimum points scores for the Skilled Independent Subclass 189, Family sponsored 489. We also look at the situation in detail for pro-rata occupations such as accountants, ICT business analysts and software and applications programmers. 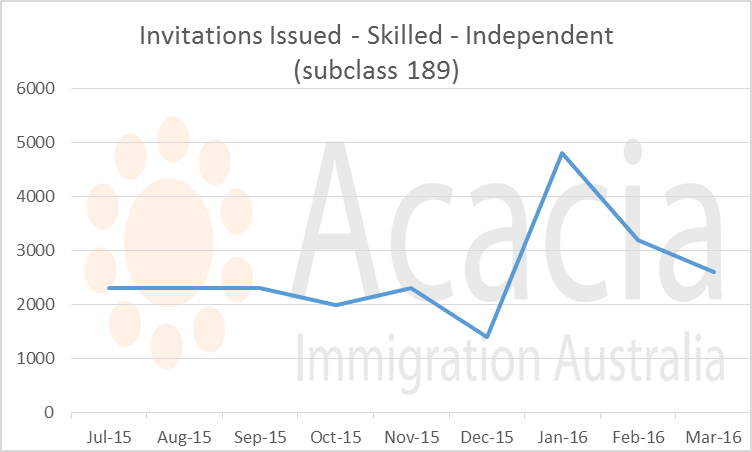 The overall number of invitations for Skilled Independent Subclass 189 visa per invitation round has decreased to 2,600 per month, down from 4,800 in January and 3,200 in February. The minimum score required for an invitation for 189 is in general 60 points. The maximum waiting time for an invitation with 60 points is stretching out and is now close to 3 weeks. 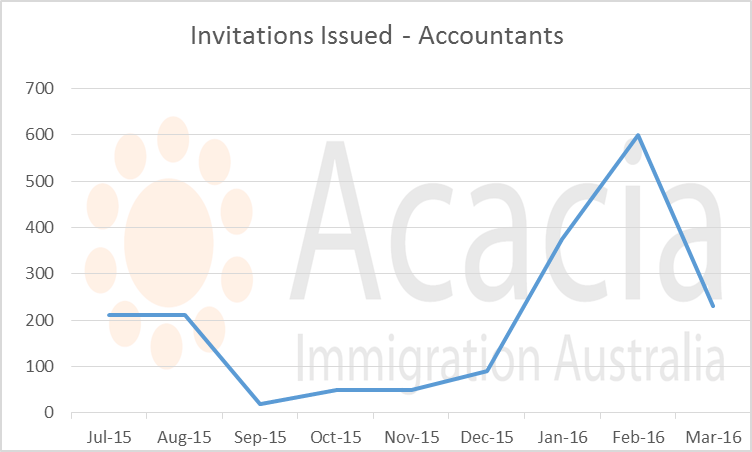 The number of invitations for accountants spiked in January and February 2016, and is now back down to approximately 200 per month. 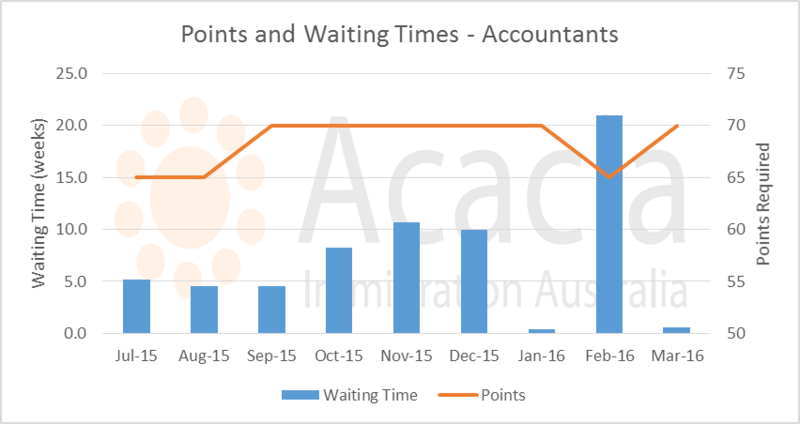 In February, the minimum score required for accountants got down to 65 points, but is now back to 70 points. Waiting time for people with 70 points is under 1 week. 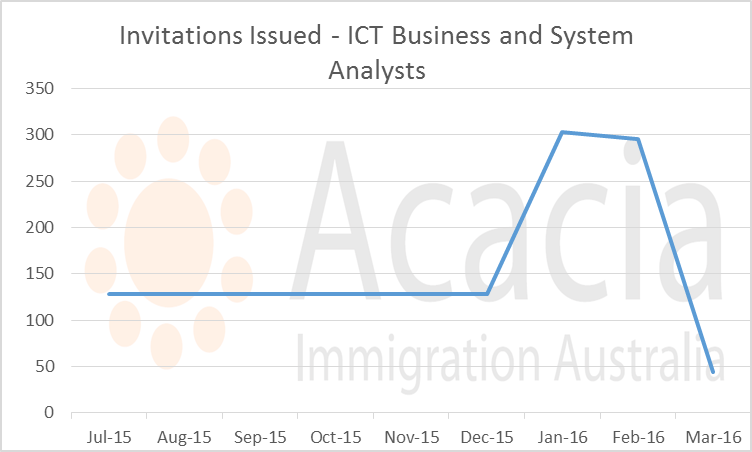 Similarly, invitations for ICT Business and System Analysts peaked in January and February and are now back to a very low level with only 22 invitations issued on March 9 in this occupation. 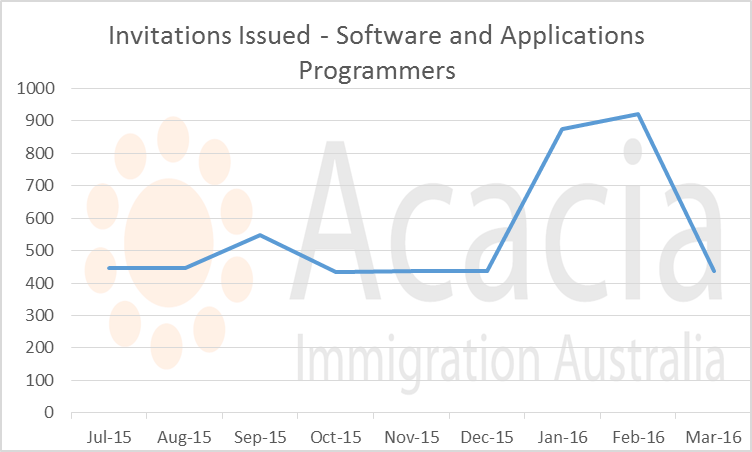 As a result of the much lower numbers of invitations issued, the minimum score required has increased from 60 to 70 for this occupation - the biggest increase we have seen since SkillSelect was introduced. 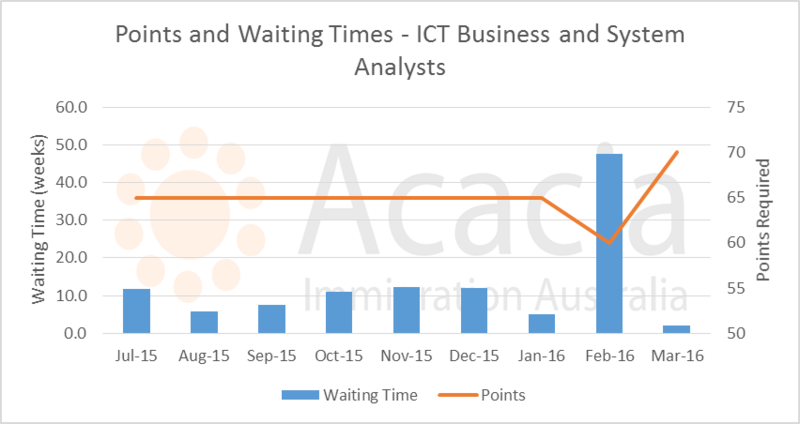 The number of invitations for this occupation also decreased, but not as much as for ICT business analysts. 218 invitations were issued, much lower than the rate for January and February, but still at about the average for the financial year. Points required for an invitation have increased to 65, and for this score, waiting time would be less than a week. 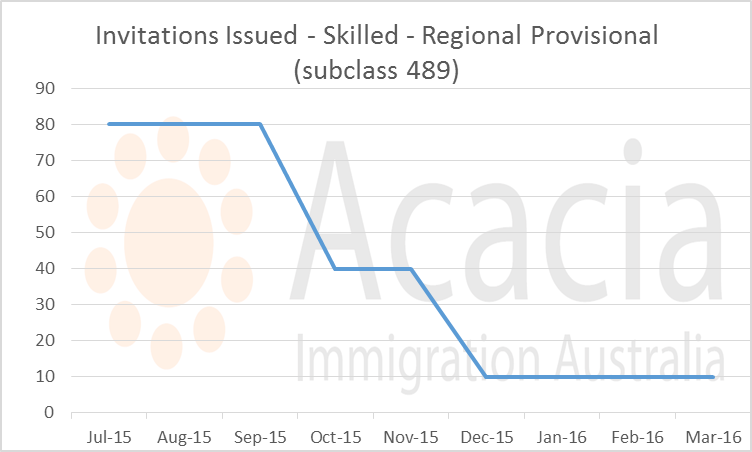 Very limited numbers of invitations continue to be issued for family sponsored Skilled Regional Provisional Subclass 489 visas. Only 5 per invitation round are being issued. The minimum score for an invitation is now 70 for the family sponsored 489 visa. With this score, the waiting time is under a week. 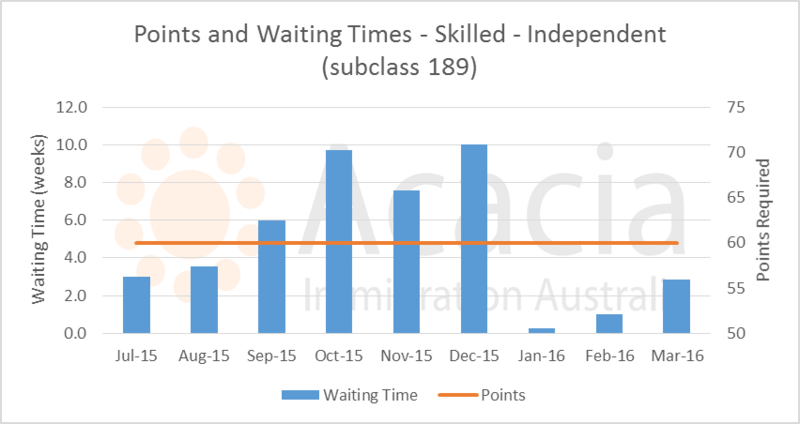 The number of invitations issued overall for the skilled independent 189 visa have decreased again. As a result, waiting time for most occupations has increased, and the minimum points score for an invitation for pro rata occupations has increased as well.